Ireland is a beautiful country filled with the very best ways to roam and travel in it’s outdoor playground. One of the best places to hike is the Wild Atlantic Way! Within these hikes lies museums, music, culture, cafe, and pubs that all contain an incredible stories. These stories are all unique to the Wild Atlantic Way and work to increase your experience while traveling through the beautiful outdoors of Ireland. This side of the Irish coastline is home to all different natural wonders ranging from extensive cliffs and breath taking beaches to private islands and sheltered bays. There are a variety of routes to explore within the Wild Atlantic Way. Whether you’re looking for a relaxing stroll along the coast or a rugged hike, the Atlantic Way provides it all! This is where your Wild Atlantic journey begins. The Northern Headlands is located in Donegal. This remote region in the far north of the Wild Atlantic Way is well preserved and is nearly unexplored. The nature here is refreshing. Here you can find unmitigated granite walls of cliffs as well as the Northern Lights shinning upon the clean winter skies. Aside from the eye-catching natural beauty, 11 lighthouses shine out across the sea as well. This is where physical and spiritual journeys are said to begin. The sea air brings minds back to life while horizons expand, stories are shared, adventures are experienced, and spirits life. 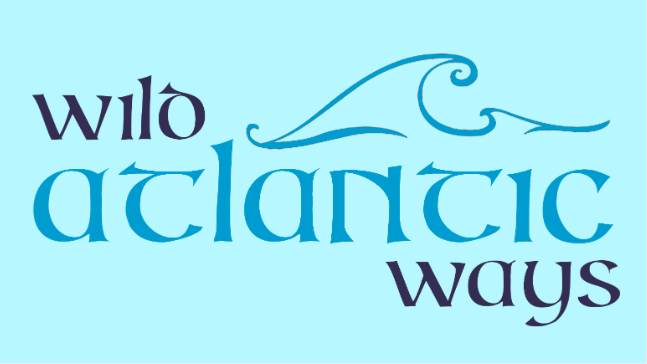 Up next on the Wild Atlantic Way, which is just as thrilling as the Northern Headland. Here you can find ocean waves colliding with rocky shoreline – perfect for those looking to catch some stellar waves! It is possible to surf the entire western shore, although this particular spot is home to Bundoran and Mullaghmore Head. A wonderful spot for both surfers as well as those wanting to observe the adventurous souls battling the waves. As you make your way down the Wild Atlantic Way, your next stop is Bay Coast. Here you’ll find glorious beaches as well as Irelands largest island, Achill. The best way to explore this famous island is by way of the Dooagh Loop Walk. The Bay Coast offers a variety of trails where people come to kayak, kiteboarding, paraglide, swim and dive. You will also find riders making there way across the sand on Connemara ponies. If you’re into cycling, not to worry the Great Western Greenway is one of the world’s most scenic cycleways. If beaches or cycling don’t satisfy you, walkers are welcome to stroll through the sacred Croagh Patrick Mountain. All of these excursions have history and culture engraved in them. To end your day, you can watch an amazing sunset behind the Aran Islands – definitely a site you don’t want to miss!